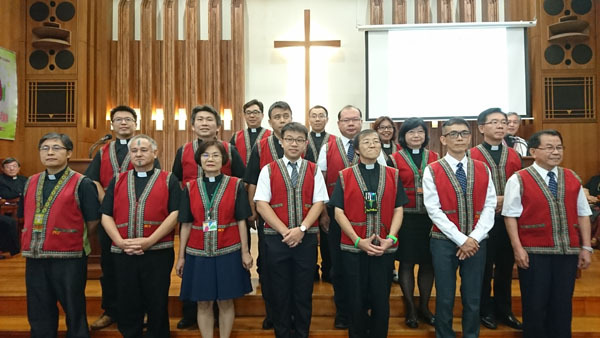 In the afternoon on July 17, three Associate General Secretaries and thirteen newly elected secretaries and executive officials sworn in to launch a new round of four years’ ministerial service under PCT General Assembly (GA) Office at Nan-Men Presbyterian Church of Taipei Presbytery. 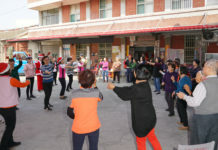 Quoting the biblical stories of the Book of Numbers in Old Testament, Rev Chen Ming-jih, Moderator of PCT GA, encouraged these GA staffs to be able to work both independently to accomplish the task of each distinct ministry and cooperatively to work together under the leadership and guidance of General Assembly, GA Executive Committee and General Secretary. Rev Lyim Hong-tiong expressed his deep thanks-givings to God for His amazing election of these co-workers to witness Jesus Christ in this challenging era. 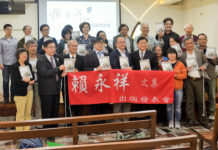 He also invited the whole PCT community to stand by these God’s servants with prayers, the Words of God and support to facilitate PCT’s ministries across Taiwan or around the world.